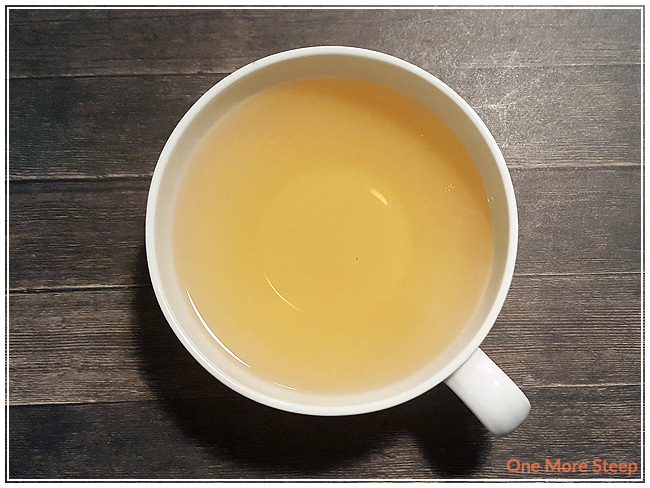 I bought High Roast Ti Kuan Yin at the same time that I had bought the non-high roast Ti Kuan Yin Oolong (my review was published in November 2016). 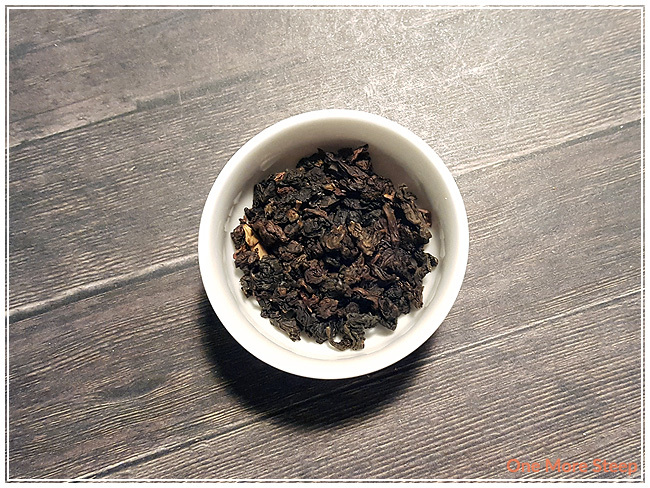 Ti Kuan Yin Oolong is also known as tie guan yin oolong or iron Buddha oolong. There’s just a lot of oolong tea going around in my home these days and I don’t mind one bit! I’ve really come to love and appreciate oolong tea. High Roast Ti Kuan Yin is one of Murchie’s “top shelf” teas, so the minimum purchase amount is 1oz rather than their standard 2oz for non-top shelf teas. The only ingredient in this tea is the oolong tea leaves. 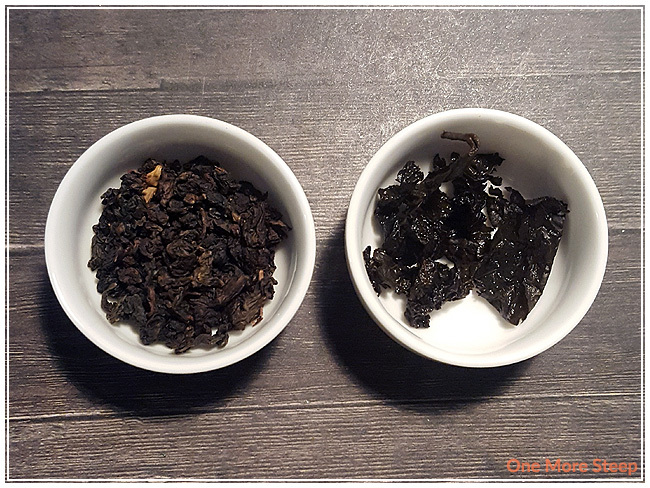 The dry leaf of High Roast Ti Kuan Yin has this almost earthy quality that is a little bit difficult for me to describe, it’s not the same wet earthy quality that pu’erh teas often have. There is some light, subtle floral notes, and an almost nutty quality to the smell of the tea that reminds me a bit of roasted chestnuts. Murchie’s recommends steeping High Roast Ti Kuan Yin in 82-90°C (180-195°F) water for 2 to 3 minutes. I started off my first steep at 2 minutes. High Roast Ti Kuan Yin steeps to a deep golden orange. It has a nice toast smell to it. On first sip, the first thing that comes to mind is toast and bread. There’s a very light, almost missed floral taste in this tea. I really had to concentrate to pick out the floral notes though. The nutty quality in the dry leaf is still present in the steeped tea, with the roasted chestnuts taste mingling well with the taste (and smell) of freshly made toast. It’s an interesting combination, to say the least! I resteeped High Roast Ti Kuan Yin a total of seven times. I found that the flavour was the strongest for the 3rd steep, and the flavour stays fairly consistent up to the 6th steep. By the 7th, the flavour was really starting wane. I wouldn’t do much more steeps past number seven. 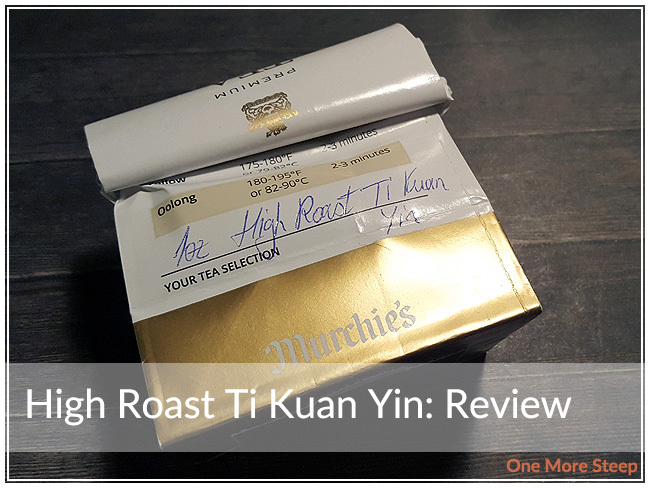 I liked Murchie’s High Roast Ti Kuan Yin. I’m always a sucker for a tea that can be resteeped over and over again, and High Roast Ti Kuan Yin does deliver on that part. While the taste of roasted chestnuts and toast is an interesting flavour combination, I found myself wishing that the floral notes were more present in this tea. It’s definitely a tea that is enjoyable, but it’s not necessarily a tea that I would find myself wanting to make sure I had topped up whenever I ran low. High Roast Ti Kuan Yin is a good tea but it’s not a favourite for me.